Let us know who else you would like to see featured in the comments below! 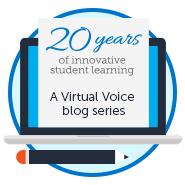 Get to know one of our newest FLVS Full Time science teachers! Lead teachers support different content areas and work closely with teachers to ensure best practices in the classroom are carried out. Math involves vocab, comprehension, fluency, sequencing, and more. It takes a very special person to support math instructors by way of literacy skills and professional development. Ever had a school-related question that you couldn’t quite find the answer to? The school counseling and advisement team is here for you! 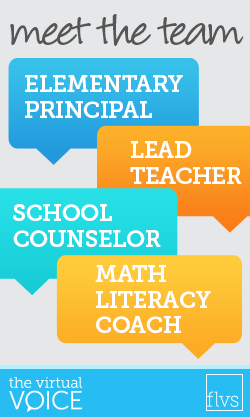 At FLVS, the role of the school principal or “Instructional Leader” is a bit different than at a traditional school, but still with the goal of success in mind. 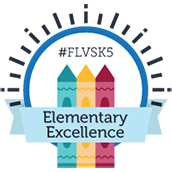 Did you know that FLVS has a new FLVS Flex elementary program for grades Kindergarten – Grade 5? It’s true! Get to know one of the leaders of this innovative program. Did a parent or teacher ever share with you the old saying “hard work pays off?” Well, it does. Just ask the FLVS Full Time Director of Instruction. The Curriculum department works from concept to course delivery to provide an exemplary online academic experience. At FLVS, integrity means everything. We instill the importance of academic integrity throughout a student’s time in our courses with the guidance and support of the Academic Integrity team. The College Recruiting and Diversity Staffing Coordinator serves as the guru for the FLVS Intern program, all college recruiting, and assists with diversity recruiting efforts. This entry was posted in Educator Edition, Full Time Edition, Homeschool Edition, Parent Edition, Student Edition and tagged Benefits of Online Education, Careers, Careers at FLVS, college, College Recruitment, College Students, Curriculum, Diversity, Education, Elementary Teachers, FLVS Instruction, FLVS Internships, FLVS Staff, HR, Human Resources, Interns, Internships, Jobs at FLVS, Meet FLVS Staff, Meet Your Teacher, New Teachers, Online Curriculum, Online instruction, Online Teaching Internship, Professional Development, Staff Interviews, Staffing, Teach Online, Teaching Careers, Teaching Online, Teaching with FLVS, Teambuilding, Virtual instruction, Working at FLVS on December 28, 2016 by Dr. Jeanne Giardino.